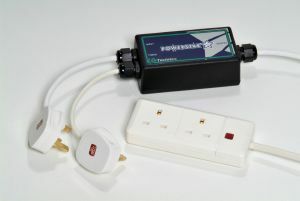 The Powerstar 2 way Contactor does not include a timer, but is great for any light combination up to 2Kw. Contactors are basically relays for your ballasts, so they do not burn out your timers. Complete with a double 3-pin plug outlet for the ballast's to be connected to, simply connect one of the feed cables to the mains and plug one in to your timer, set the schedule for on/off and your away. No more burnt out timers!